All-New 2019 Honda Passports Have Arrived! Our service department offers quick, quality service that encompasses everything from basic maintenance to major engine repairs. 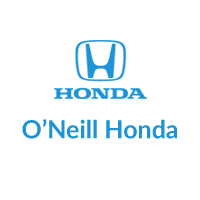 Thank you for visiting the O’Neill Honda website! At our Honda dealership near Kansas City, KS you will learn more about our inventories, ways you can save on a new Honda, and how our service center can assist you. Whether you’re interested in the latest Civic or prefer the new CR-V, there’s a Honda model for you in our new vehicle inventory. Head over to our new vehicle inventory to browse available models and trim packages. If you’d like to save on a new Honda car, truck, or SUV, we encourage you to take advantage of current specials offers on new Honda models. Do you need to save on your next vehicle? Consider a quality used or certified pre-owned Honda from our dealership near Kansas City, KS. Browse through our used vehicle inventory for pre-owned Honda models and models of other makes. You can also check out our certified pre-owned inventory to get a like-new vehicle at an affordable price. To receive fantastic savings on a used Honda, check out our under 10k inventory. These models are priced under $10,000 to work with your budget. Do you need an oil change? Is there a pesky noise coming from inside your dashboard? Whatever service you need, confide in the O’Neill Honda auto service center. Our technicians are factory-trained so they know your vehicle inside and out. Before you schedule a service appointment, browse our service and parts coupons to save on your next trip to O’Neill Honda in Overland Park, KS. When you visit our finance center, our experts will help you find the auto loan or lease that works best for your budget. You can also apply for credit online to get the auto loan process started. Your Kansas City Honda Dealership Solution! If you would like to visit O’Neill Honda, stop by during our business hours. Need help getting here? Use our directions page to find the easiest route to our Honda dealership near Kansas City, KS. For more information, give us a call at 844-242-2336.